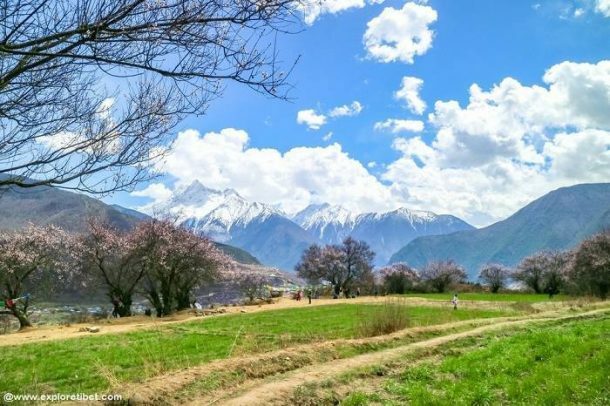 Spring is in the air, and in Tibet, that means the start of warmer weather, new growth, blooming trees and flowers, and most of all, the start of the tourist season. Since February, there has been no international tourism in Tibet, due to the closure of the region for the Losar (New Year) celebrations. As of April 1, Tibet is once more open for another great season of Tourism, and it is expected that this year will be the best yet for tourism to Tibet. As the cold winter finally passes, and the weather starts to warm up, tourists from all around the globe will be making their way to Nepal or China, heading for Tibet and the first month of the tourist season. With the six-week long closure of tourism in Tibet finally over, and the Tibet Tourism Bureau in Lhasa now issuing the Tibet Travel Permits for the 2018 season, it is time to dig out those sunglasses, warm up your hiking boots, and decide where in Tibet you want to go. Spring comes to different areas of the plateau at different times, although not that far apart. These tourist destinations in Tibet have their own beauty respect to the seasons. Nyingchi is the first place to see spring, with the blossoming of the peach trees as early as mid-March, mainly due to its lower elevation. The climate in Nyingchi is a lot milder than the rest of the plateau, and the spring air is not as dry in the lower areas. There are even chances of light showers in late April, as the season moves on towards summer. Then comes the turn of Lhasa, Shannan, and Shigatse, as the weather warms up, and the snows start to melt on the hillsides and mountains. Streams start to fill as the snowmelt drains away to the major rivers and lakes. The areas of Lhasa, Shannan, and Shigatse warm up slower than in Nyingchi, and the temperatures often reach only 10 degrees throughout April and can get as low as -2 degrees at night. As spring progresses, Lhasa and Shigatse become more alive, as if the cold fingers of winter have finally been shaken off, and the cities return to some color. In the more remote areas of Ngari and Nagqu, the spring hits in mid-April, and the ice starts to melt on Lake Namtso, while the snowmelt of Mount Kailash replaces the lost waters of Lake Manasarovar. Small flowers start to break through the melting snows, pushing up from their winter hibernation, and getting ready to cover the grasslands with their small but multitudinous blooms. Lower humidity and less fertile soil in the highest regions of Tibet means that growth is slow, and sometimes it is nothing more than a few straggling plants that make the hills look a little greenish, rather than dusty grey and yellow. Across the entire region, the weather gets slowly warmer, with clear skies and bright, spring sunshine to warm the skin and take the edge off the chill winds that still blow across the plateau. As the grass becomes more lush and edible, nomadic herders drive their yaks out onto the higher grasslands and prairies, looking for the best summer pastureland for their animals. Spring is also breeding season for the yaks and sheep of the herders and before the end of spring, lambs and yak calves can be seen across the plateau’s vast expanses of prairies. As the tourist season in Tibet starts, monasteries, temples, palaces, and other attractions ready themselves for the influx of Chinese and international visitors that will pass through the Tibetan capital, many of whom will head to the outlying regions. Spring is the start of the trekking season as well, and as April turns to May, trekkers with heavy backpacks can be seen disembarking from the trains, ready to head out into the wilderness for a week or two of rough and rugged walking in the spectacular Tibetan landscape. May to late June is one of the best times to go trekking in the Himalayas, and it is a great time to get out into the wilds of Tibet and see the land as it should be seen, with your own eyes and not through a piece of glass. 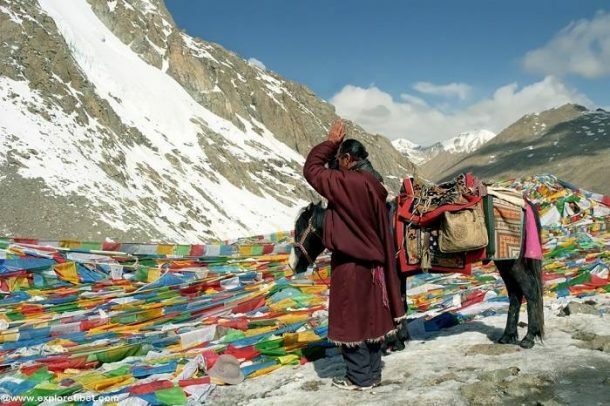 Tibet has some amazing areas for trekking, including Mount Everest treks, Lake Namtso treks, Gama Valley trekking, and many other places across the region. Everest is one of the most popular treks, although the normal trek is just a few kilometers from Rongbuk Monastery to Everest Base Camp (EBC). For those who are more adventurous, the 70-kilometer hike from Old Tingri to EBC is a much more challenging route that takes three days and crosses high passes and stunning valleys. 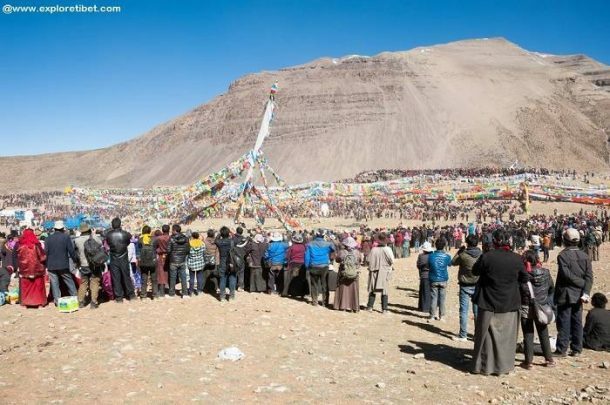 Spring is also the time of the Saga Dawa Festival, and the thousands of pilgrims who travel for thousands of miles across Tibet and other neighboring countries, end their journeys with the circumambulation of the holy kora route around the sacred Mount Kailash in Ngari Prefecture. 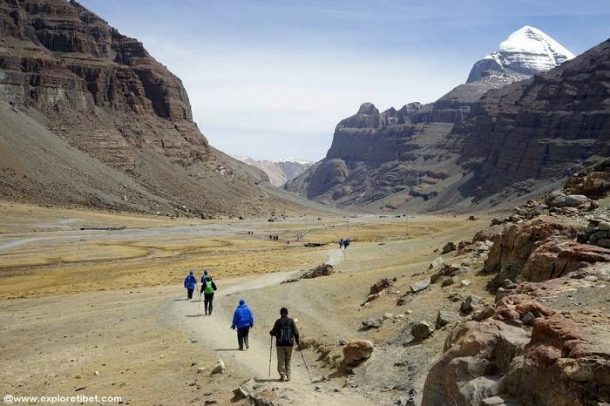 The kora around Mount Kailash is one of the most grueling and popular treks in Tibet and takes three days to circle the mountain. However, unlike some treks, there are three beautiful yet simple monasteries along the kora route, and an amazing view from the high pass at Dolma La, where you can leave a prayer flag or offer for the gods with the thousands of other pilgrims walking the route. Held every year in the area around Mount Kailash, the Saga Dawa Festival is one of the most significant religious festivals in Tibet, attracting pilgrims from all over Tibet, Nepal, India, and mainland China. Held to celebrate the day of the birth, nirvana (enlightenment), and parinirvana (death) of Sakyamuni Buddha, the festival is a holy time celebrated by Hindus and Buddhists alike. Tibet can still be cold in the spring, especially at night, so take some warmer clothes with you for the cold evenings. When trekking in the mountain areas in spring, the footing on some slopes and riverbanks can be treacherous, and mud or gravel can easily give way as the snows melt and the surface of the ground defrosts. Good, solid hiking boots and hiking poles are a necessity. 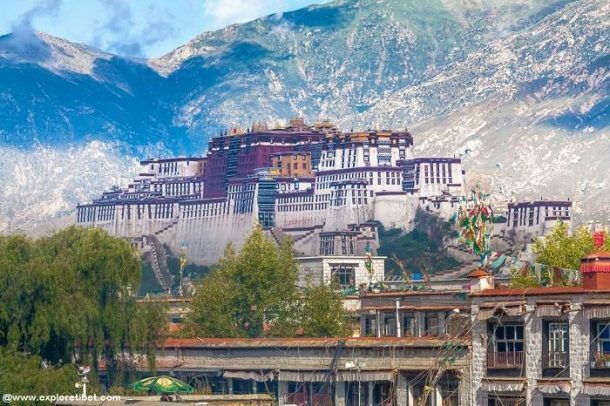 Early spring is a good time for travel to Tibet, as the tourist season has yet to warm up properly, and there are still few tourists in Lhasa, and less in the outlying areas.